Springs sprung and just maybe we both know that Guerrilla Podcasts (@guerrillapods / pinterest.com/guerrillapods) Home Grown Veg Plan 2014 is well in progress for the now! What do I know? More than a few new seeds have been sown in the backyard, on tha windowsill and in whatever there is of the front garden for the now and all’s well in me head for the Guerrilla home grown food bank for 2014! Wouldn’t you just know that Lou just couldn’t resist giving more than a helping paw in the bedding boxes recently! Doin’ what she does as helpful as ever, but for the first time in ages she’s decided to have taken a liking to having a look see up close and personal at the bedding boxes. Whilst Lou & I continue to go with the flow with Guerrilla Podcast Home Grown thought process? Just maybe it’s about time we got round to adding a quick update and share a few of our photo’s as a reminder of what we’ve been up to. 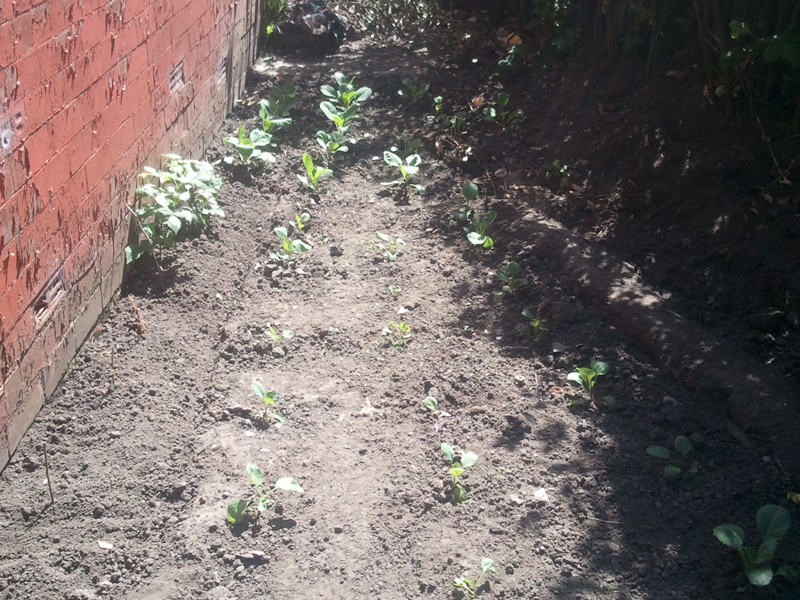 Updating our personal record, what’s worked for us and not worrying about whatever may have gone pear shaped whilst we’re attempting to grow our own food in the backyard in Salford. Not forgetting what space we’ve got in the front garden! Guerrilla Podcasts Home Grown Cabbage Patch Central sorta came out of left field really, as you’ll most likely know by now the Salford weather collapsed the Make Do and Mend shelves last month! 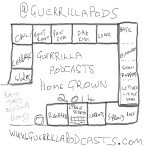 So it was time to make a paradigm shift and move forward with a new thought process as Guerrilla Podcasts Home Grown Bedding Boxes was born! Now with three new addictions to the Home Grown project, courtesy of several evening wonderings out and about with Lou. What’s new for Guerrilla Podcasts Home Grown? Guerrilla Podcasts Make Do and Mend is most definitely the way things are going at the moment as Me & Lou make a start on growing our own veg for another year and so our home grown learning curve continues. Last year our home made plant pots worked a treat, guerrilla podcasts home grown plant pots vegetables. So it seemd like a plan to do the same this year. The snow arrived a month earlier this year allowing us time to sort out one or two new home grown ideas.